SYRACUSE — Lightning hitting the home of Todd McCulloch at 9670 E. 1250N, Syracuse, has been determined the cause of a fire early Tuesday morning, Sept. 19. Turkey Creek Fire Territory was called to the home at 6:03 a.m. McCulloch and his daughter, Brooklyn, were able to get out of the home without injuries. Fire Chief Mickey Scott reported a thunderstorm with heavy rain and lightning was noted in the area at the time of the call. McCulloch told authorities he and his daughter heard a strike of lightning from within the home, smoke alarms were then activated and smoke was noted inside the home shortly afterward. The fire was brought under control and extinguished by fire personnel. Crews remained at the scene until 10:28 a.m. in order to investigate and extinguish any remaining embers, search for extension of the fire and to ventilate smoke from the home. 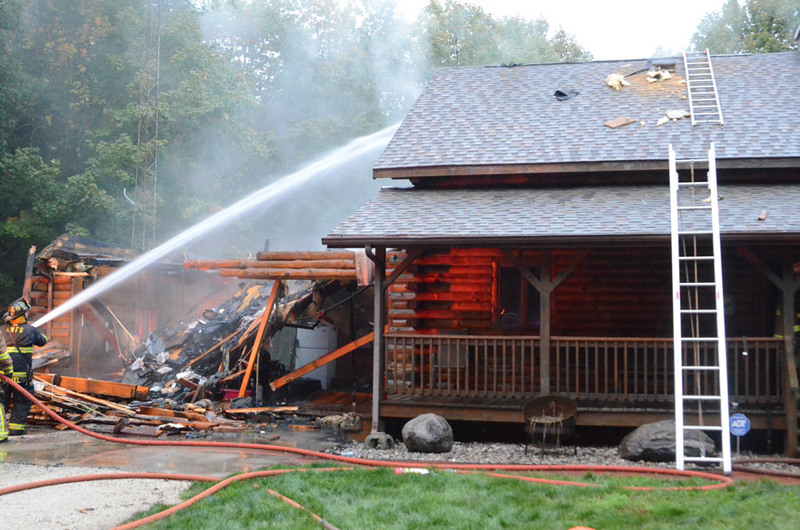 Additional manpower was provided at the scene by the Cromwell, Milford and North Webster fire departments. Additional tankers were provided at the scene for water supply by Benton, Cromwell, Ligonier and New Paris fire departments. American Red Cross provided support to the 39 firefighters at the scene.